My favorite areas to fly fish on a lake or pond are tributaries—where rivers or streams enter the still water. This article is not so much about how to fish these areas, but more about where to fish. Fishing in a stream’s last bit of current as it enters a lake is usually a good bet because the fish can use that little riffle on the surface to hide themselves from predators. The surface refracts the light, making them nearly impossible to spot. Fish can also stay out in the lake in just enough depth of water to sufficiently protect themselves. These areas are not always easy to access, however, and sometimes can be difficult to fish without a flotation device. But it’s worth the effort, particularly when flows are swift and the rivers are dangerous to wade. Tributaries can also be productive during drought years when the water is scarce, as the fish take to these locations for refuge from the sparse habitat. 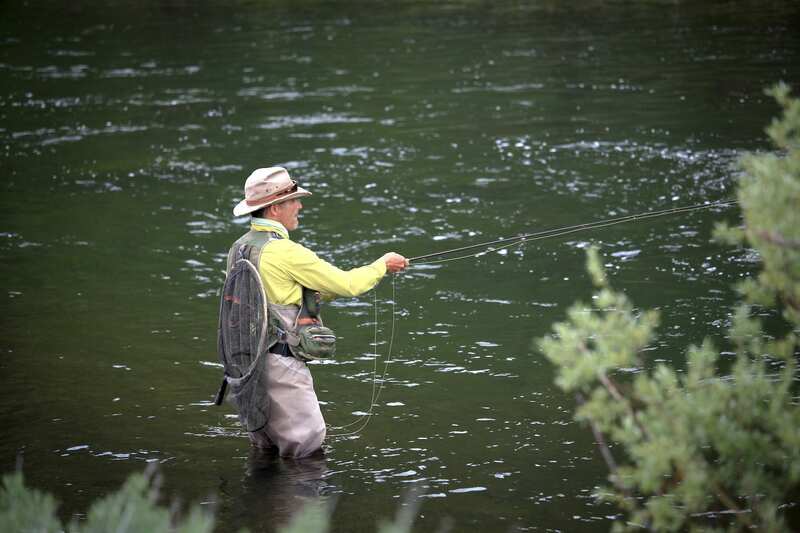 Something else to consider about tributaries is that they allow you the opportunity to fish still water while also having the option of taking a few steps upstream to fish in the current, where river tactics and techniques come into play. 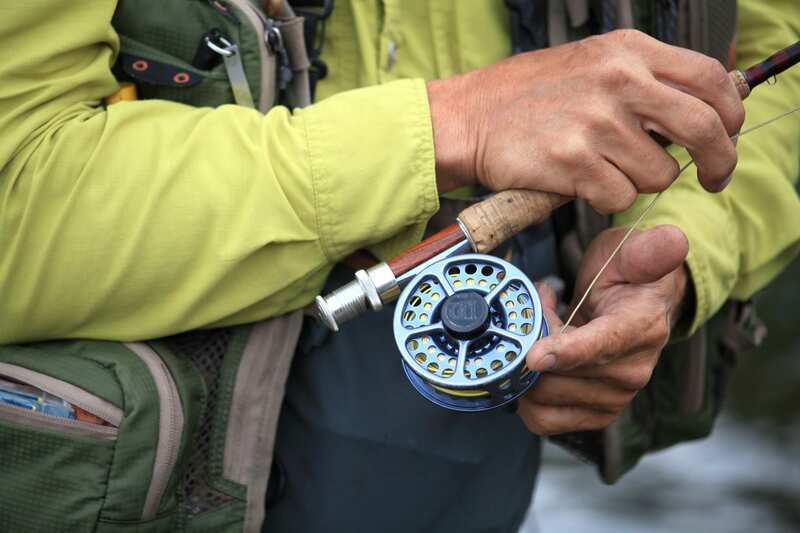 Wind is often a factor in fishing lakes and their inlets, so bring your casting arm. If the wind happens to be blowing in the opposite direction as the inflow of water, you will notice to some degree a pile of accumulated debris. This is sometimes referred to as a scum pile—a concentrated mass of dust, pollen, pine needles, cones, leaves, branches and the occasional water bottle. These areas can offer good cover for the fish to hide from their predators while they feed on the concentrated surface food amidst the scum pile. 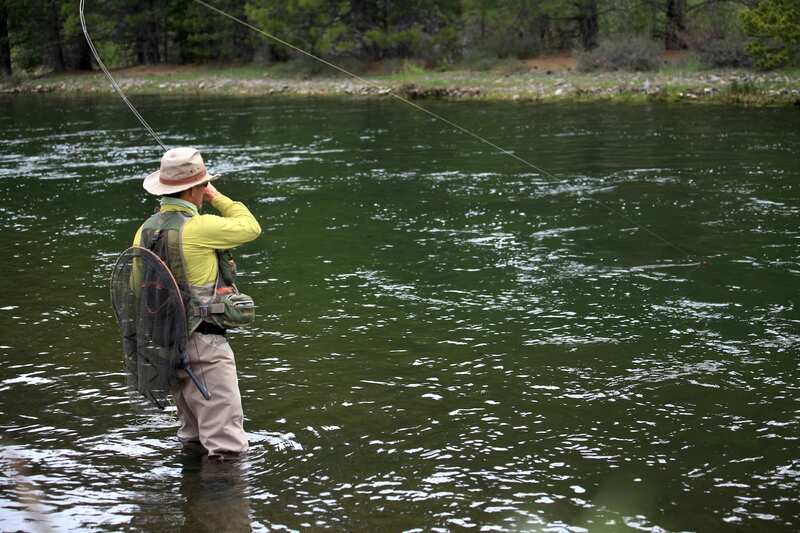 Something else to consider while fishing in the Tahoe region is temperature variation in the water. Quite often, the inflow to the lake is much cooler than the lake water itself. This temperature variation is favorable to trout, which can find an area that offers just the right temperature for their liking. Some lakes—Tahoe, for example—have more than one tributary. In this case, I usually look for the largest contributor of volume among the different tributaries. There are exceptions, but the rule of thumb is the bigger the better when it comes to the volume of water entering the still water. The water level may also play a big factor in the different food available to fish, and many of our area lakes are controlled at least somewhat by the releases of water from dams. These releases can be good or bad for the fishing, depending on the circumstances. One good example is if the lake has been full or somewhat full for many months and is being lowered through large releases, the sediment that has settled across the submerged streambed in the lake will be exposed to the current entering the lake, and thus flushed from the rocks of that streambed. Within that sediment, the fish will often find massive amounts of food to forage upon—midges, leeches, mayflies, worms and crustaceans, to name a few. Also many different aquatic beetles, crayfish, baitfish, damselflies and dragonflies can be concentrated and available to fish during some of the faster drops in lake levels. Lake Tahoe has 63 tributaries, all of which are closed to fishing during the spring. These regulations, which are lifted on July 1, are in place to protect spawning rainbow trout, whose eggs are a precious commodity. I have never heard of large numbers of fish being caught at Tahoe’s inlets, but I do know that some large, beautiful rainbow trout have been pulled from these areas. Before the fish spawn, depending on the species, they will spend a good amount of time displaying what we call a pre-spawning behavior at or near the inlets—sometimes for as much as a month before they head upstream to take care of business and procreate. This can offer fishermen opportunities to catch some of the largest fish in The Lake. 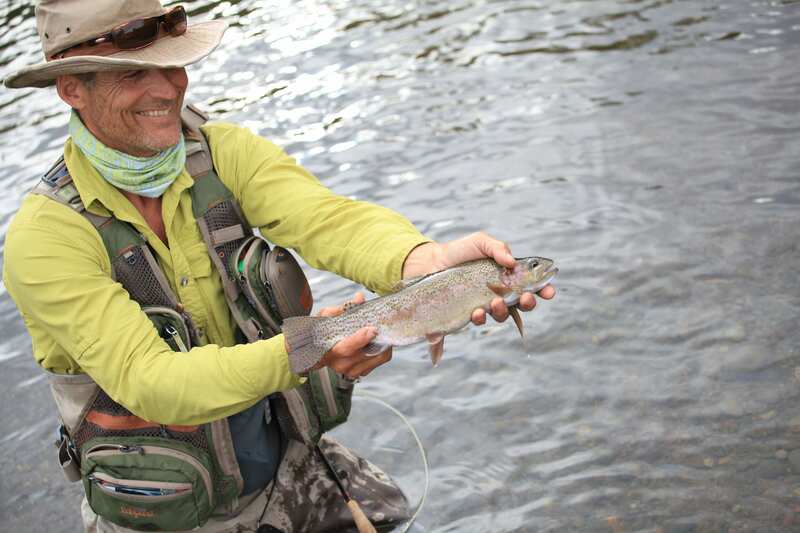 Oftentimes, I fish these areas in many different ways in the same day—sometimes with sinking lines, stripping in streamers or swinging soft hackles, and other times fishing a dry fly or dry dropper. And, of course, nymphing under an indicator can also be very productive. These areas offer many different and unique feeding opportunities for trout. With this understanding, we as anglers can clue in to how these feeding opportunities vary and how the fish’s behavior and eagerness to participate in our game may vary as well. 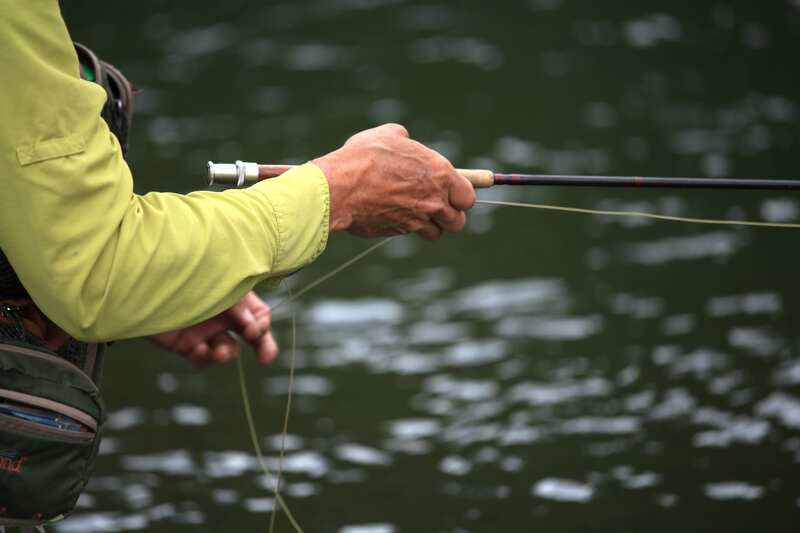 Book a fishing outing with author John Roberts here, or call (530) 448-6268.